This wasn’t the ending Paschall and fellow fifth-year senior Phil Booth (above) had in mind. 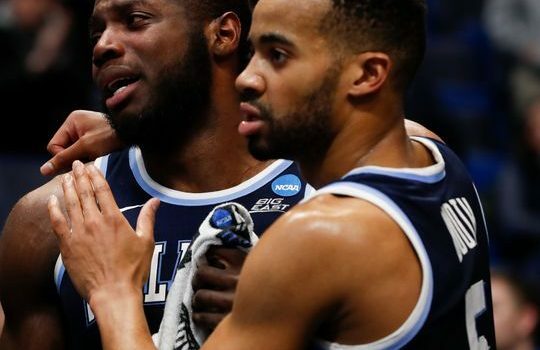 For the two members of Villanova’s 2018 champions who led this 2019 team the ending Saturday night was a demolition, 87-61 by Purdue in the second round of March Madness. In some ways, like the end of an era. Though the Cats are only a year removed from their most recent title and three from the 2016 championship, only a few sophomores and juniors will remain to rebuild the program into a national contender. 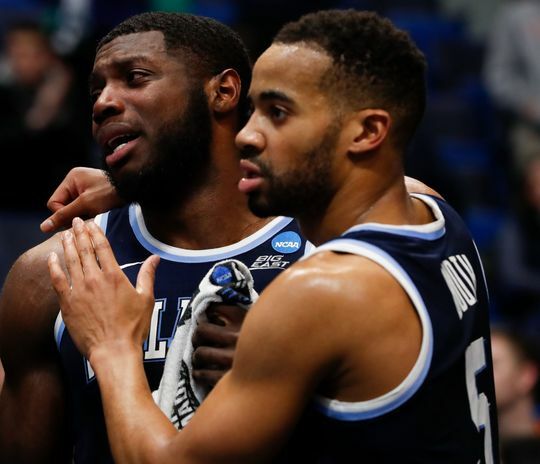 Four players used Villanova’s championship run last summer as a springboard to the NBA, including two players who were expected to be key contributors this year. Donte DiVincenzo, who was a redshirt sophomore, went 17th overall in the NBA draft and is now with the Milwaukee Bucks. Omari Spellman, a redshirt freshman, was the No. 30 pick and is now in the G League. Four Wildcats were chosen in the first 33 picks of the draft. Previous EX-EAGLE WR JEREMY MACLIN HANGING ‘EM UP AT 30! Next FLYERS PLAYING OUT THE STRING AND RUN OUT OF GAS!